Pronto orders containing only standard sizes are dispatched within 2 working days of placing order. Further details on delivery page. 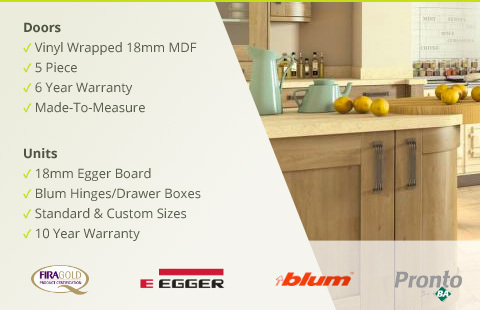 See also our Pronto standard sizes only kitchens.